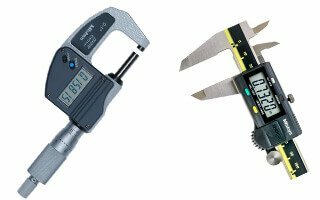 Fowler 54-860-661-0 Digital double point micrometer ip54 USB 0-1"
TestEquipmentmentUSA is a trusted and leading supplier of equipment, tools, and accessories for accurate measurements and reliable results. Here you’ll find cost-effective precision testing solutions to meeting the operational needs of many industries and professions. Consider TestEquipmentUSA as a one-stop shop for new equipment, repair, and calibration services. We will match the price of other suppliers for the same model, earning you the best possible price. Contact our expert staff for reliable service and even after-sale support. 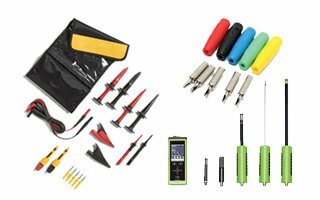 Our comprehensive inventory includes a variety of testing and measurement equipment and tools, as well as their associated components and accessories. With our superior selection, finding the right tool for the job is practically a guarantee. We’re confident you’ll find just what you need to measure with confidence for your next project. 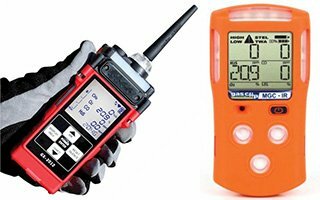 You’ll find much of the equipment we carry meets and exceeds the established standards of performance and operational safety in their associated fields. Years of reliable provision, service, and support has earned TestEquipmentUSA the trust and approval of many working professionals. Experts look to TestEquipmentUSA in the fields of energy, construction, heating & cooling, food preparation, environmental monitoring, and medicine just to name a few. We know how reliable precision tests and measurements help you get more quickly to the bottom line. You have a job to do and TestEquipmentUSA is here to help. As a professional, you know having the right tool at your disposal can make all the difference. The variety of available testing and measurement equipment in our inventory is arrayed to meet your specific operational requirements for a quality solution at the right price. Much of our equipment, tools, and accessories represent the cutting-edge of technology in their field. Consider potential productivity and safety improvements for your employees or co-workers that can come with an upgrade to the latest and greatest. Ultimately, TestEquipmentUSA is here to help you get the job done. Accuracy is the most important aspect of any precision testing or measurement tool. At TestEquipmentUSA, we support the implements of success you trust to help get the job done. Consult an expert from our network of equipment repair and calibration professionals at Gulf Coast Calibration. Register your equipment for our calibration and asset management program (CAMS) to keep your calibration and associated certificates up to date. Keeping your equipment in great condition becomes especially important when used in a quality assurance or occupational safety capacity. 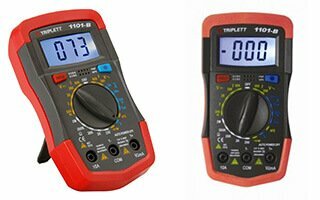 Keep your testing and measurement equipment safe in high-voltage or high-pressure situations, keep it free of leaks and other damage. For the high demands you place on equipment in your industry, be confident that it will reliably perform year after year. Don’t hesitate to contact us for superior customer service and after-sale support. We’re standing by for your requests and questions about our products and how they’re used. If you’ve found the same model elsewhere for a lower price, we’ll be happy to match the price. We are committed to reliable precision testing and measurement equipment and associated support for the life of the product. Consult with our staff, secure quality equipment, and measure with confidence.